Herman Repeater is currently on the air. This repeater is currently being housed at Summit Michigan about 1950 elevation (In Herman). 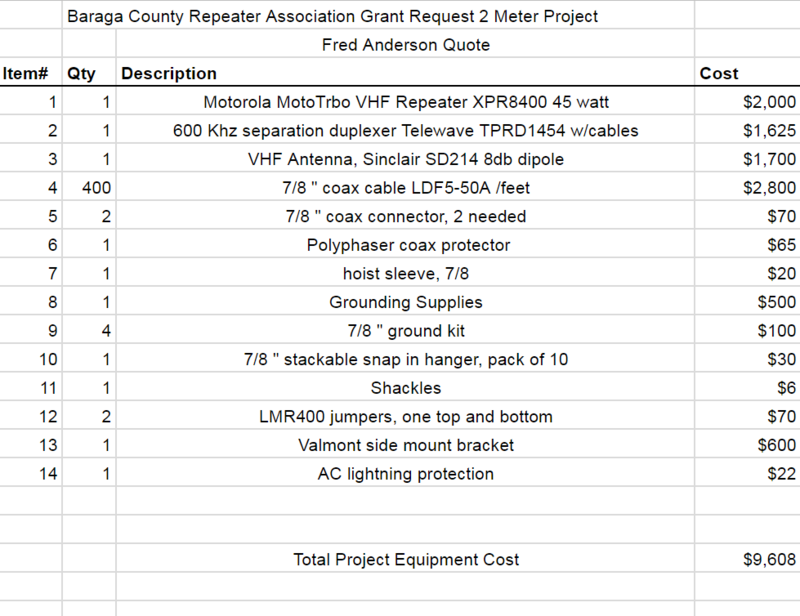 Because this site is less than ideal currently, you should expect less than usable conditions for the repeater. 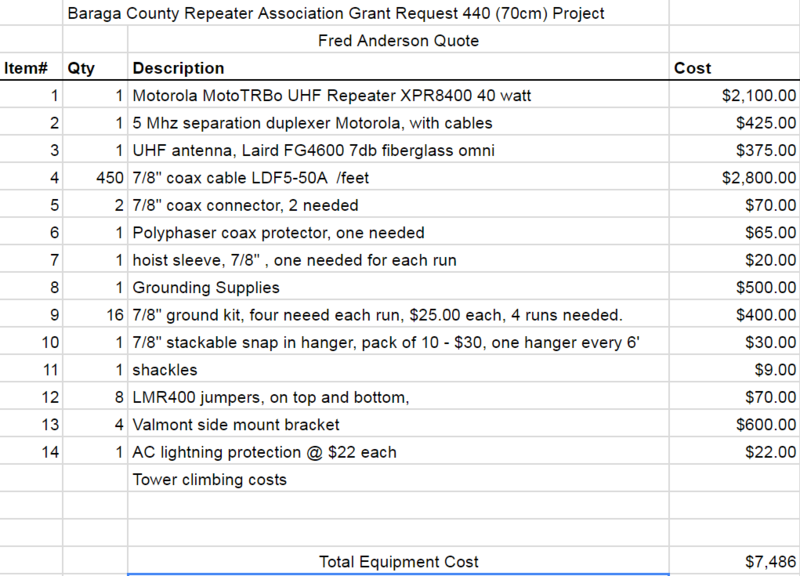 Baraga County Repeater Association is currently working on several grants to place a 2 meter system as well as a 70cm on the state tower in Herman Michigan. 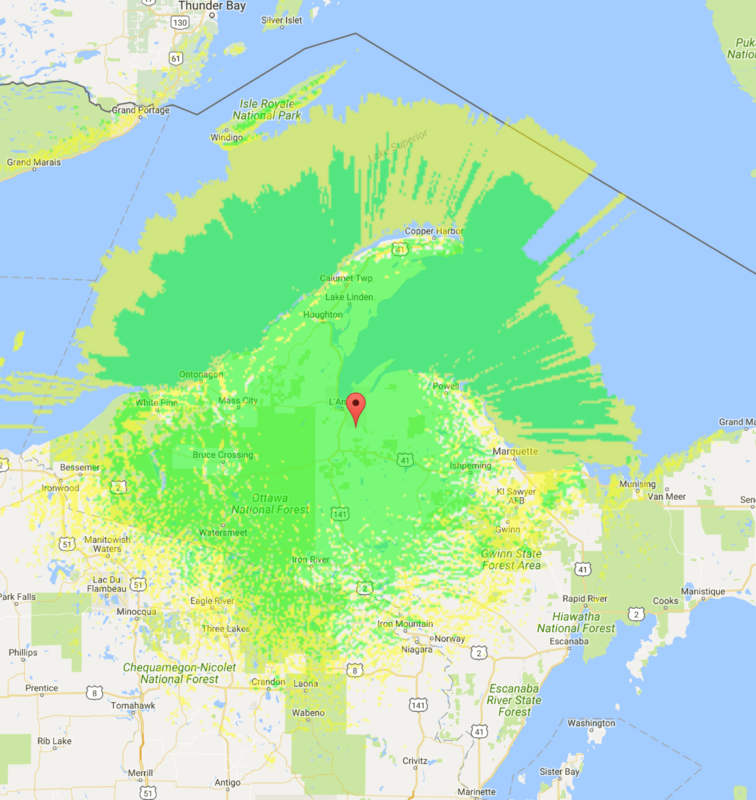 We estimate the proposed coverage of 2 meter at. We would like to achieve access to the 400-450′ mark on the tower. We are beginning the quote phase, in order to solicit grant monies to make this goal a reality. Donate today to help this project.